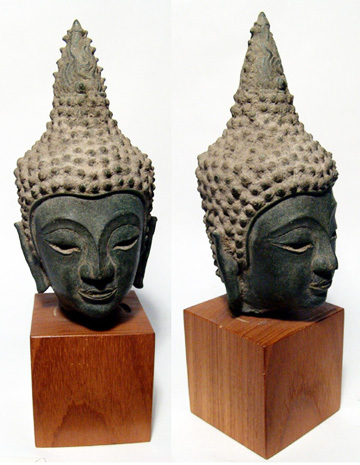 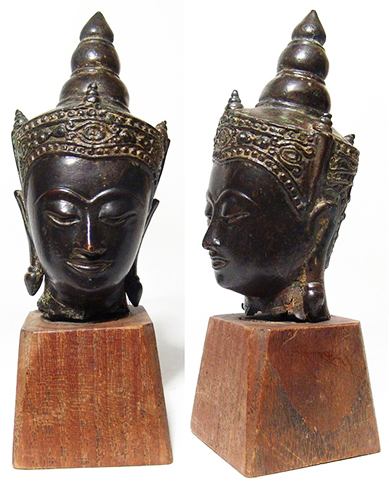 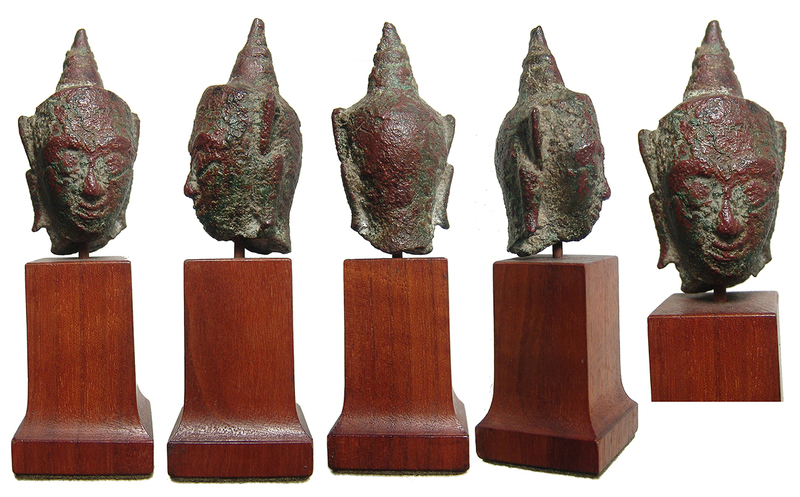 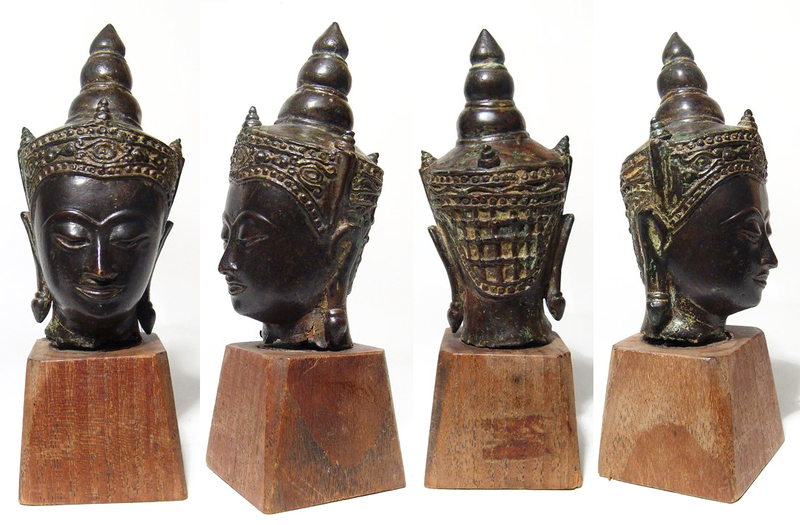 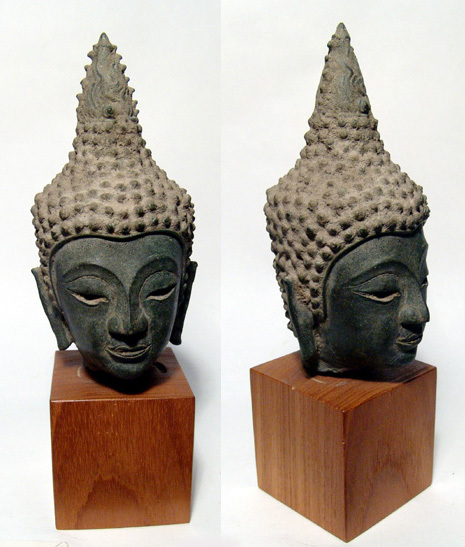 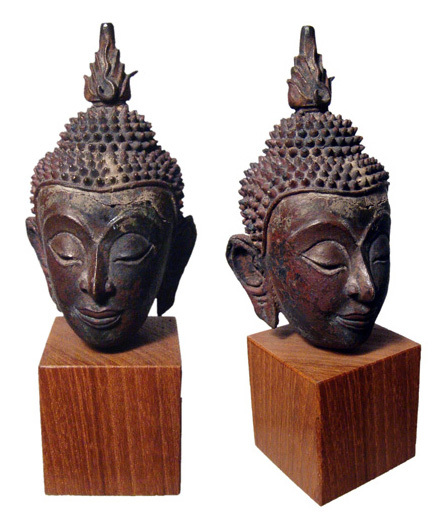 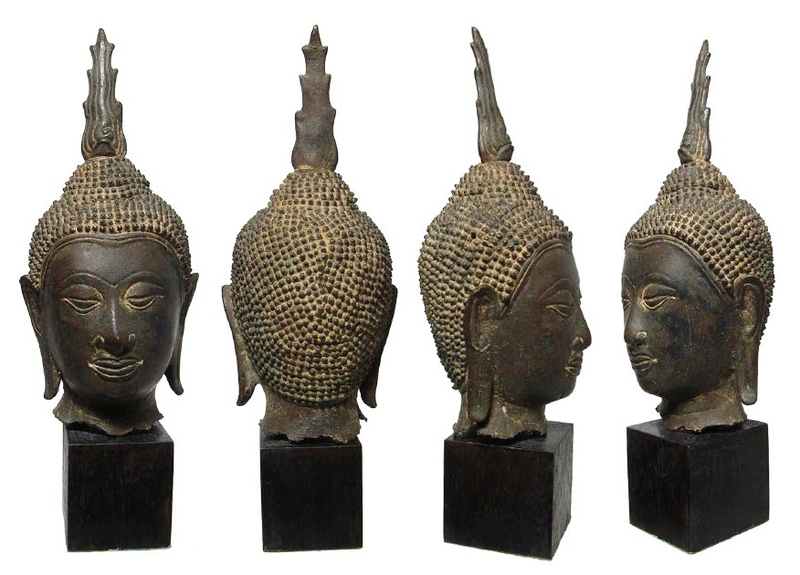 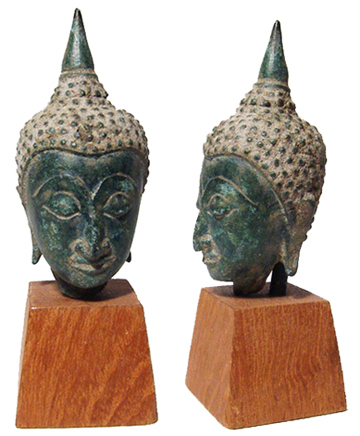 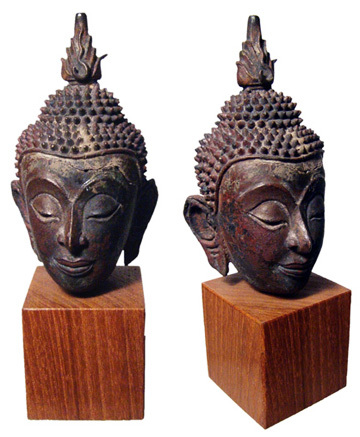 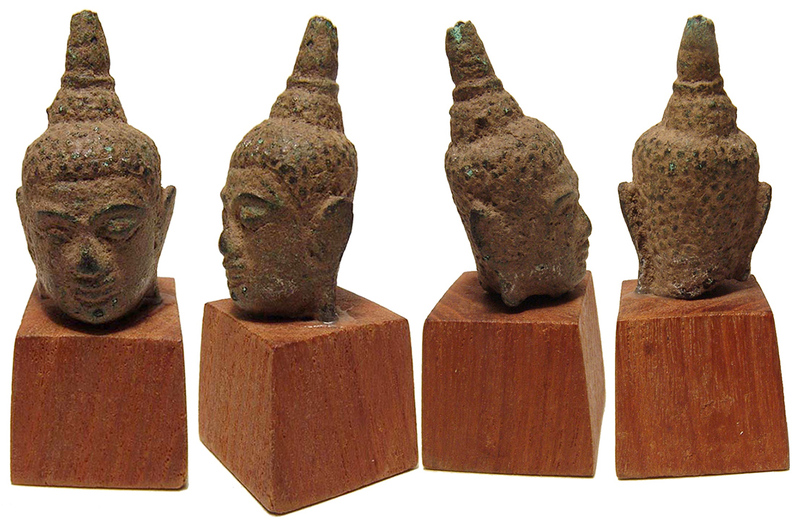 Sukhothai Period, Thailand, 15th Century AD. 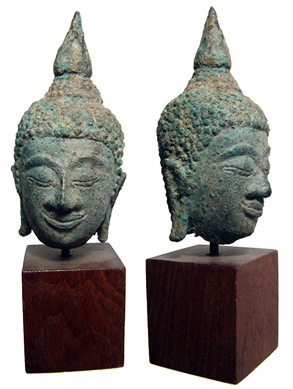 Ayutthaya Period, Thailand, 16th Century AD. 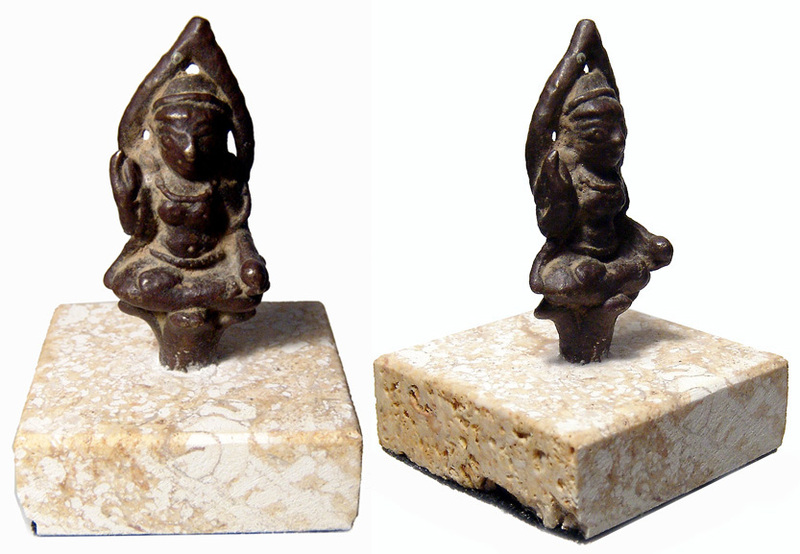 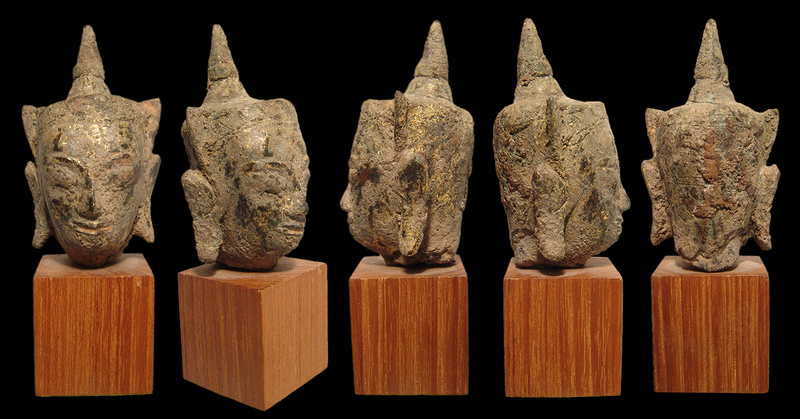 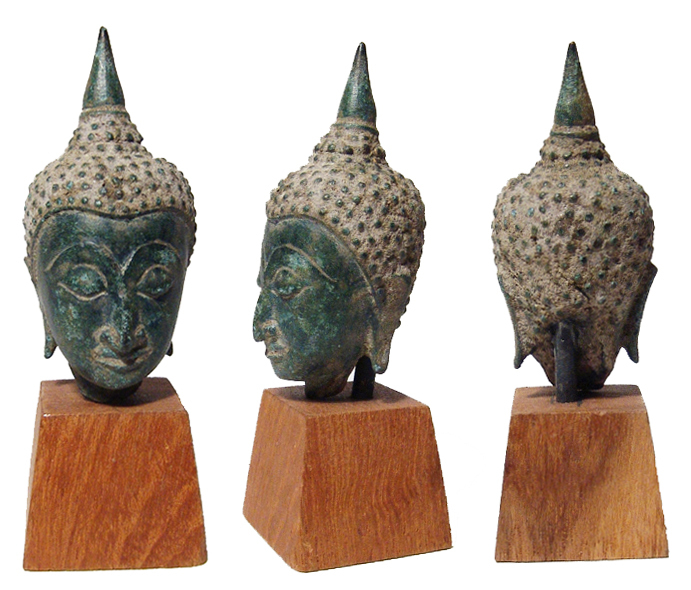 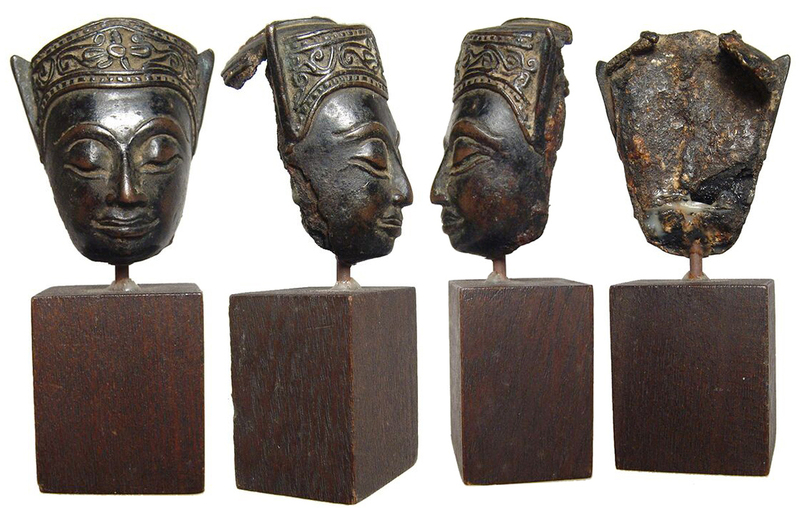 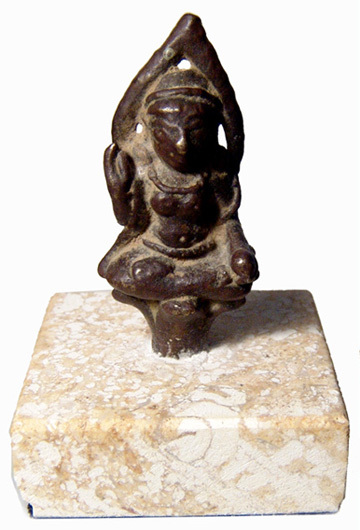 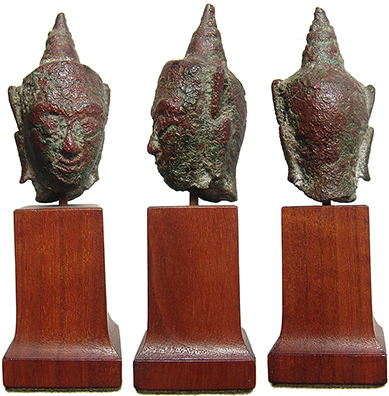 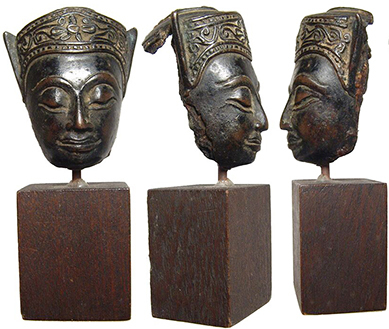 Thailand, Ayutthaya Period, 16th – 18th Century AD. 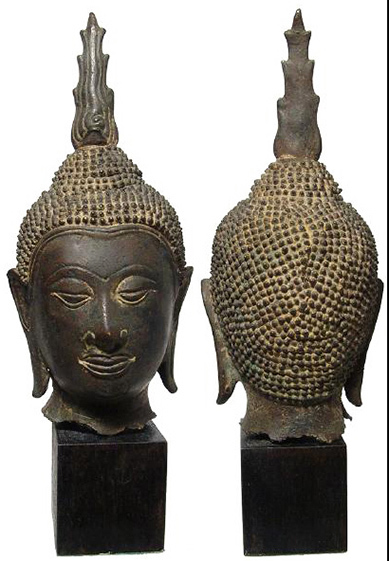 Gilded bronze head of Buddha. 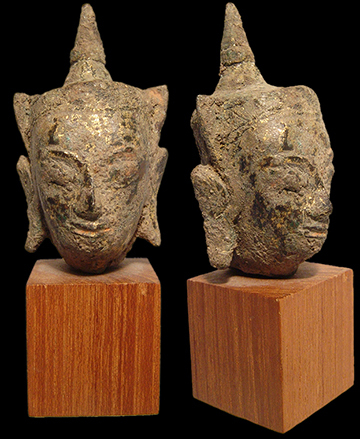 With pointed ushnisha, stern expression and wearing ornamentation. 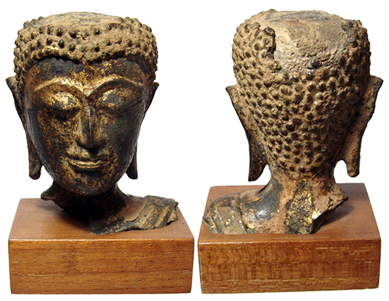 Well preserved with traces of gilding visible, mounted on wood base, the bottom with a very old collection or excavation tag reading "1038K". 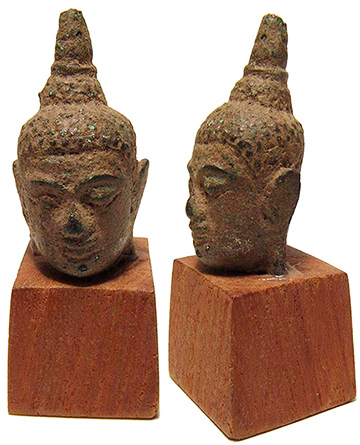 Head itself measures 60 mm (2 3/8"), entire piece stands 87 mm (3 1/2") tall.